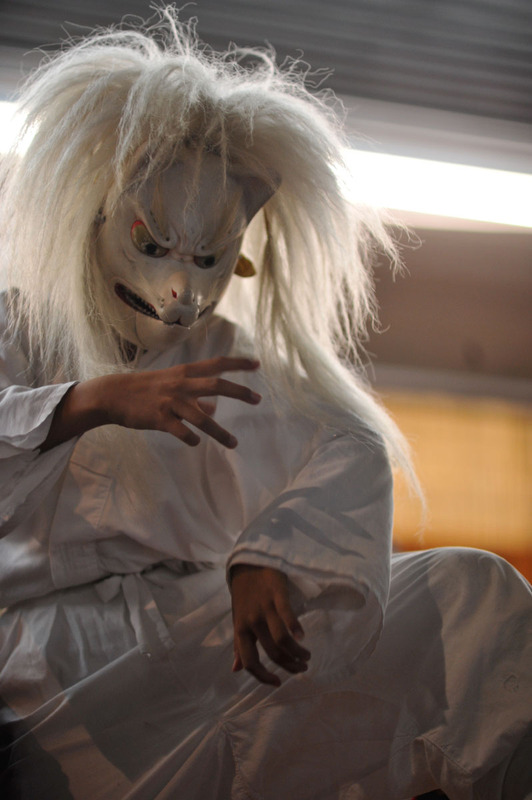 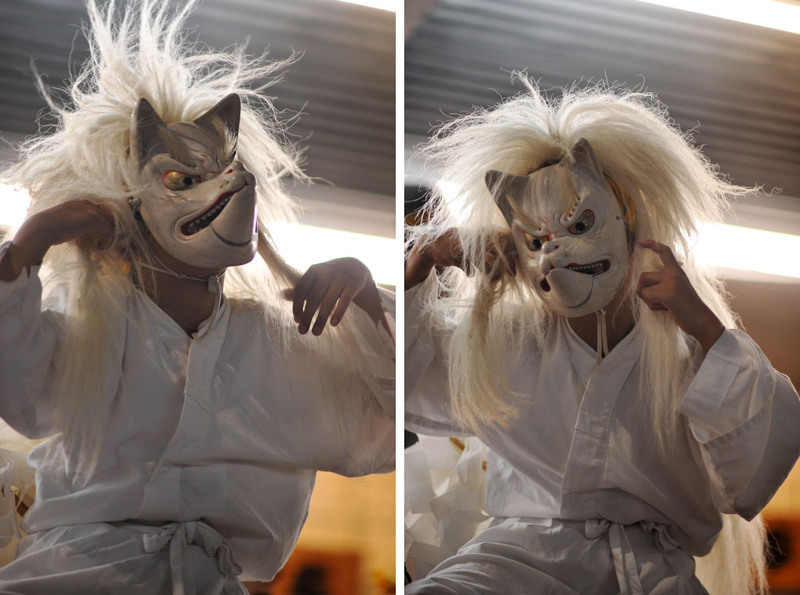 I love foxes, so I’m lucky to live in a country where foxes are important in mythology and folk culture, such as these hayashi dancers you sometimes see at local festivals. 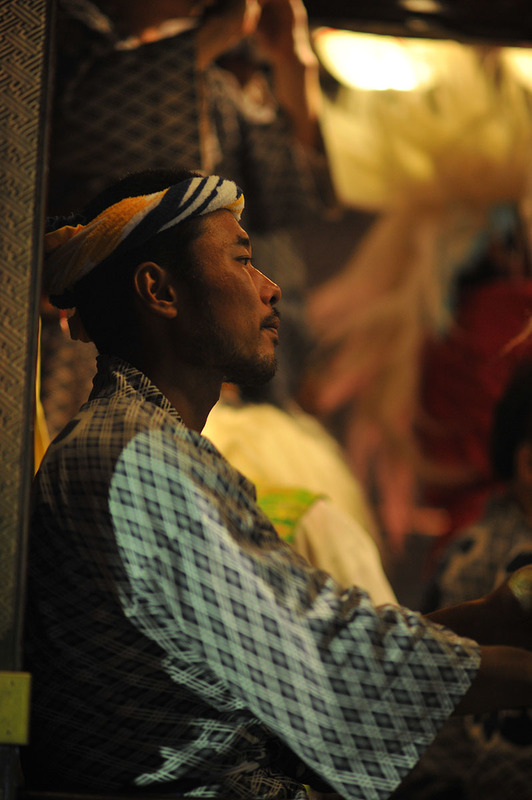 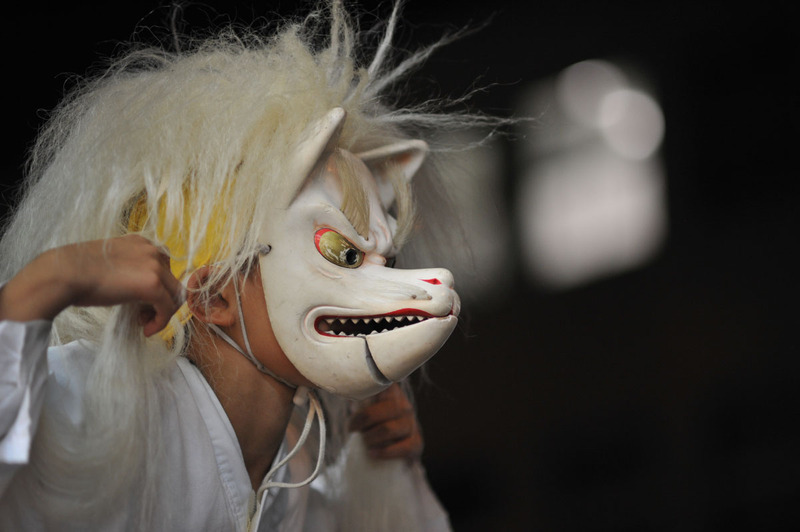 Accompanied by drummers, a flutist and often one or two other dancers, the fox is a popular role to portray especially for younger boys! 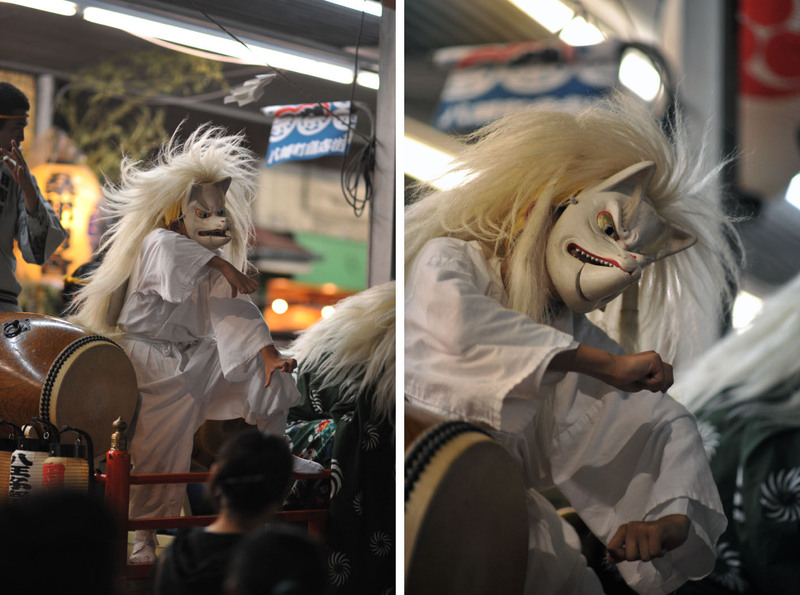 This young fox was already quite skilled, and together with a lion he performed a quite fearsome dance by the side of the road in Hachiouji, Western Tokyo earlier this summer. 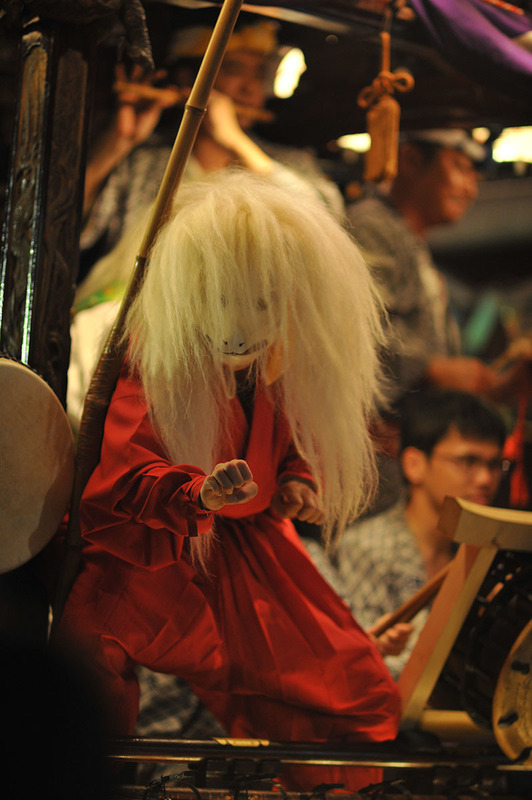 These days the fox mane of white hair is synthetic, but in the old days poorer groups would use dried grass, and I am sure the richer ones used real hair! 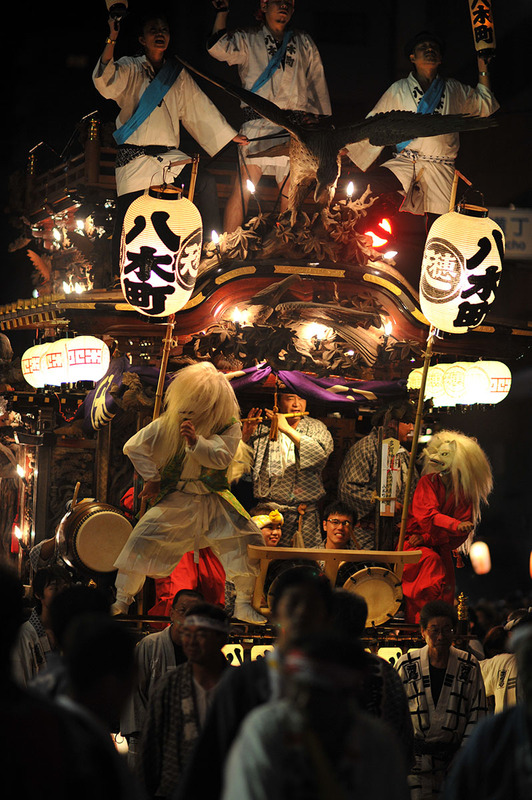 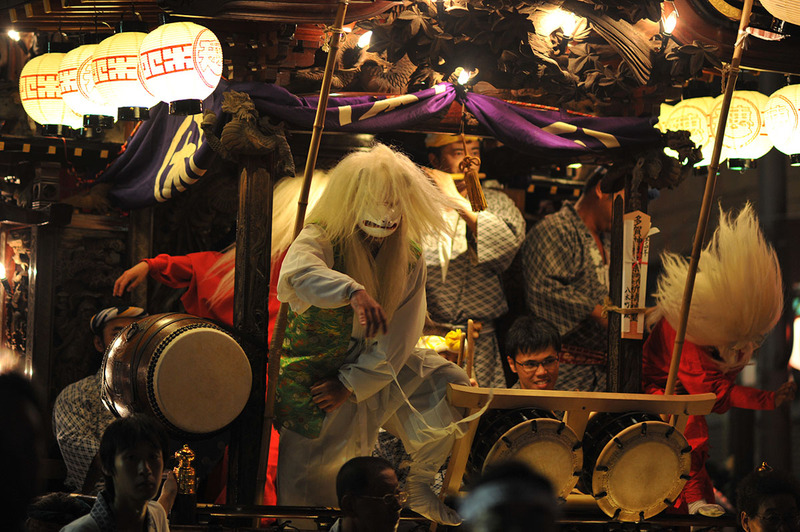 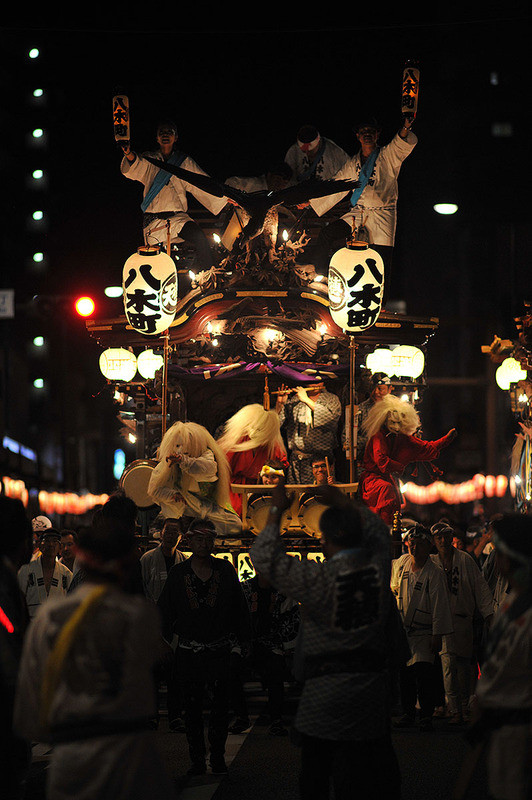 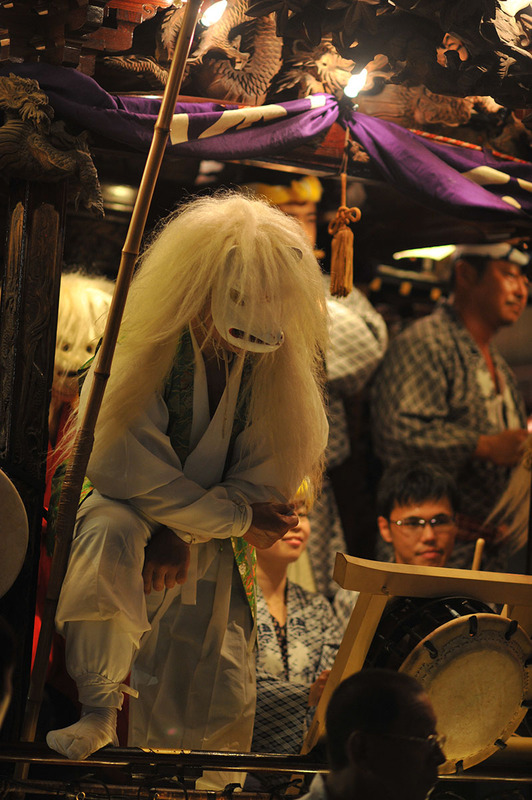 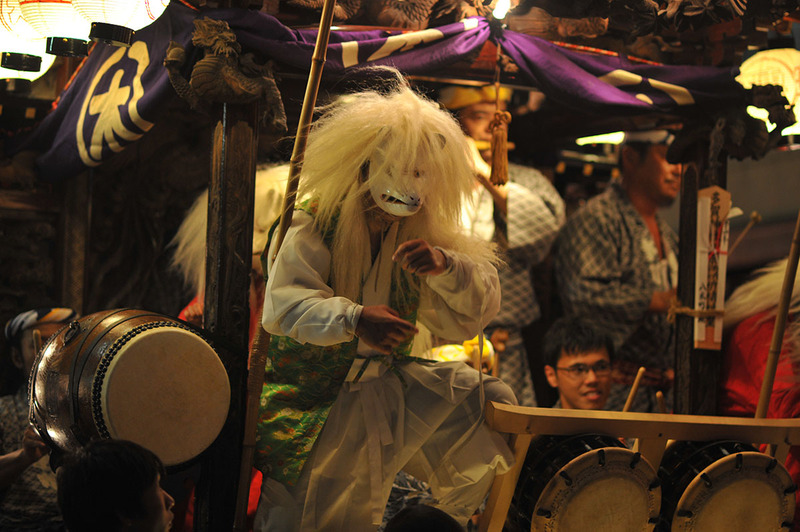 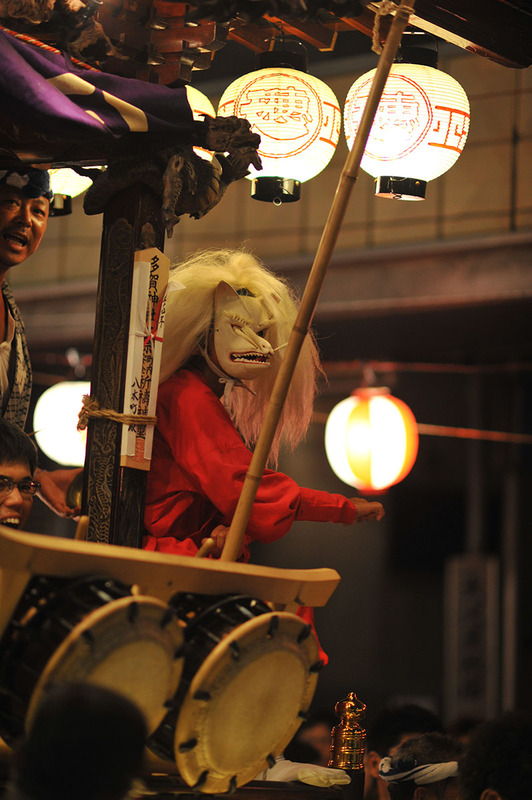 Another of the many great dashi (mobile ritual stages) of the Hachioji Matsuri, the city festival earlier this month. 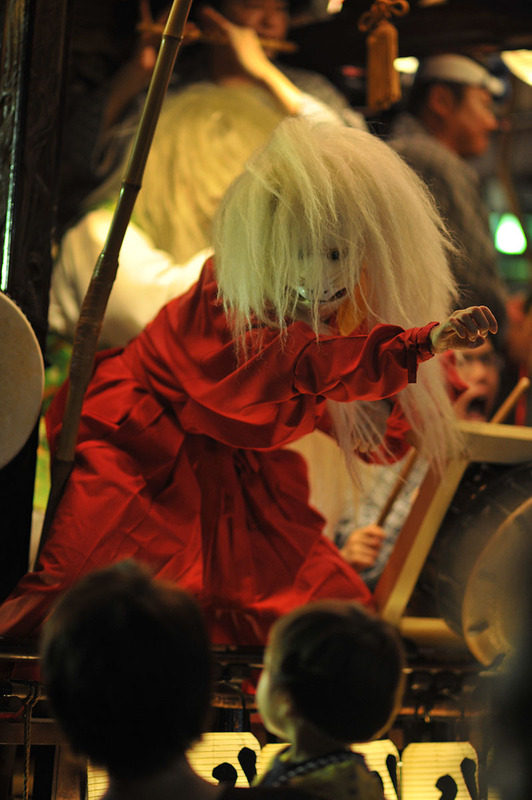 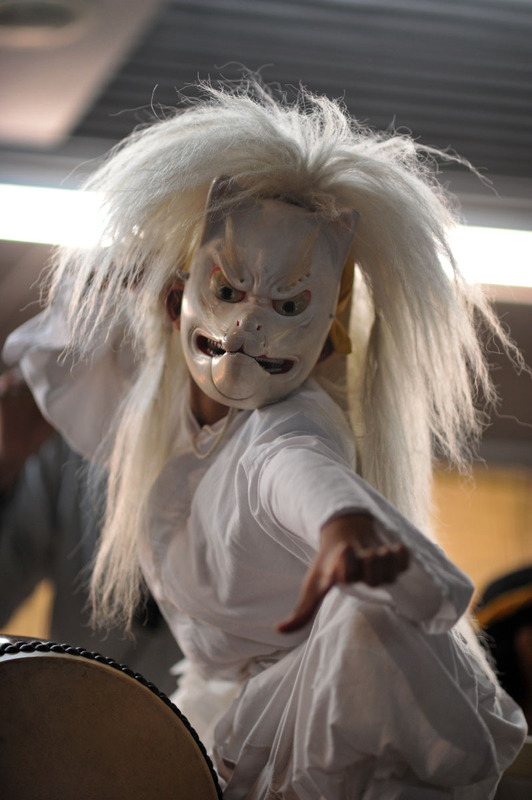 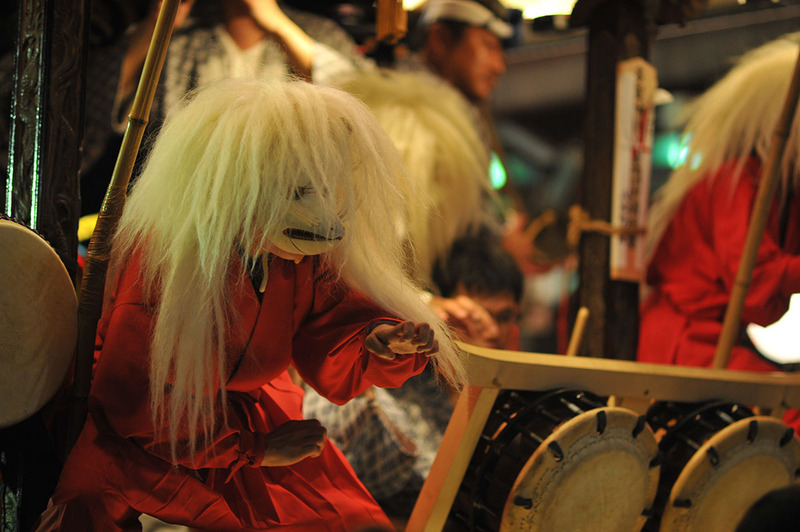 Yagicho is a small area between Hachioji and Nishihachioji but their dashi had four different dancers at once during the peak hours of the festival. 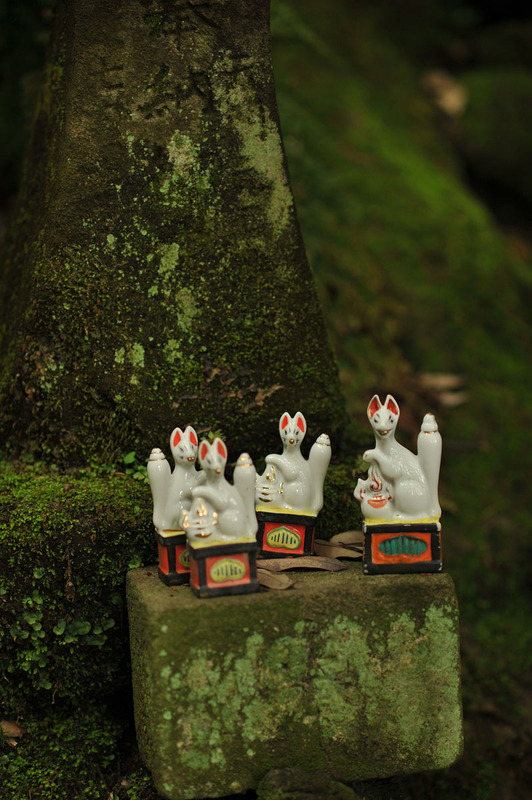 Two white foxes and two red foxes. 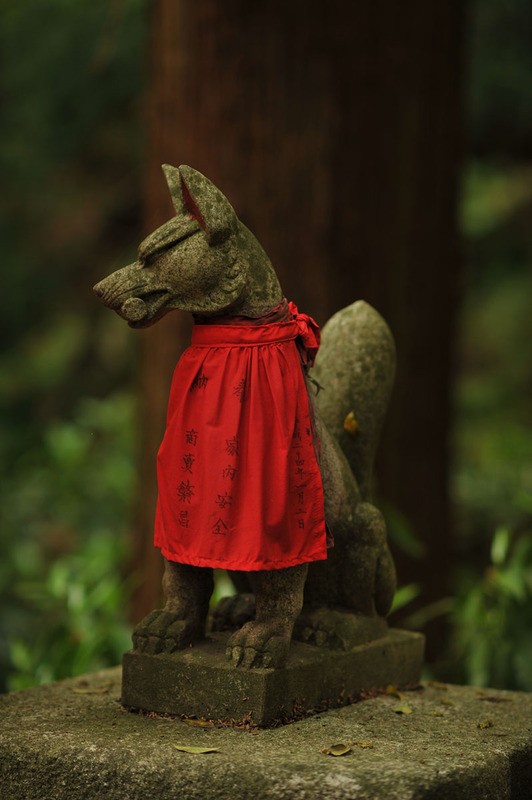 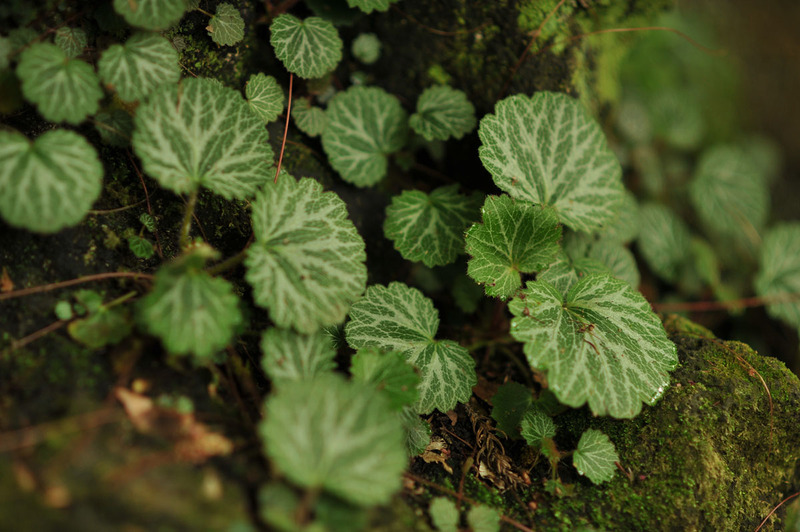 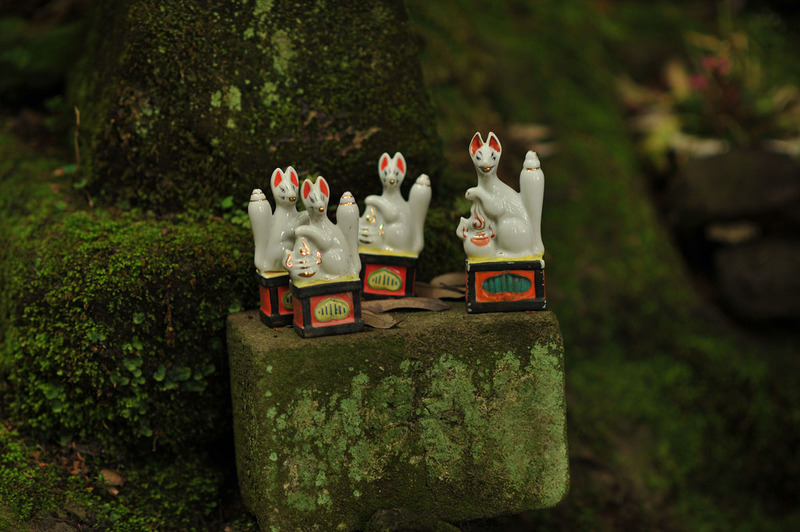 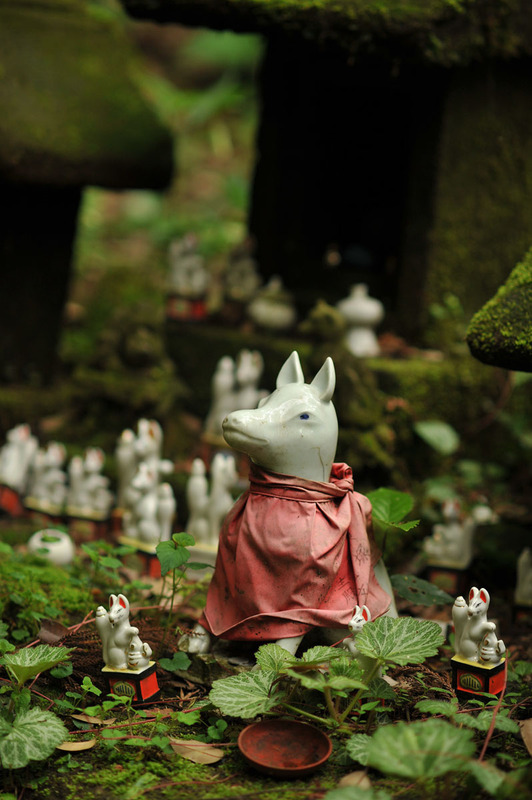 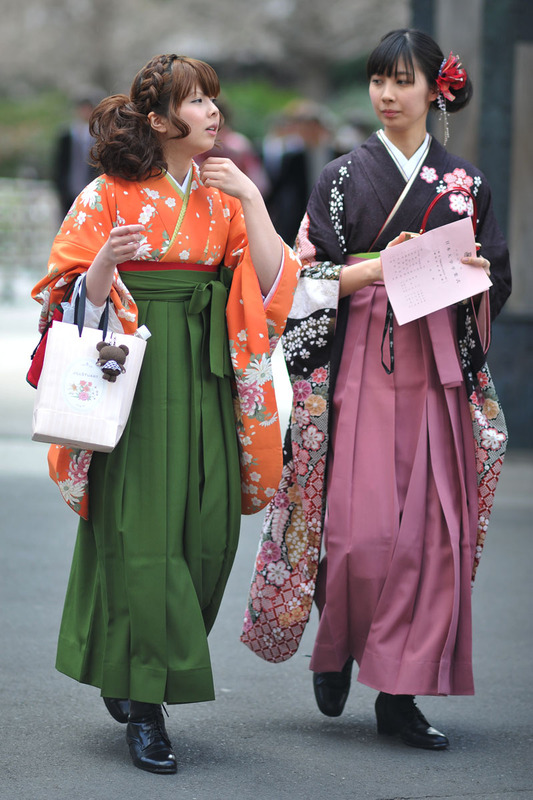 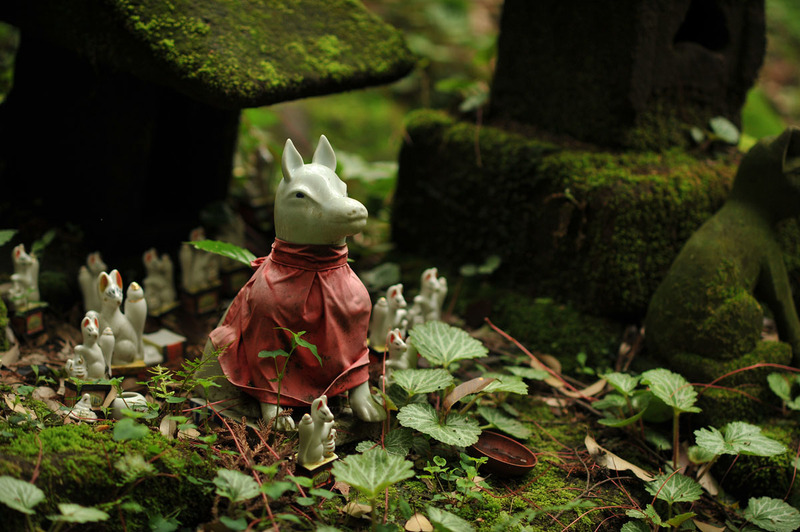 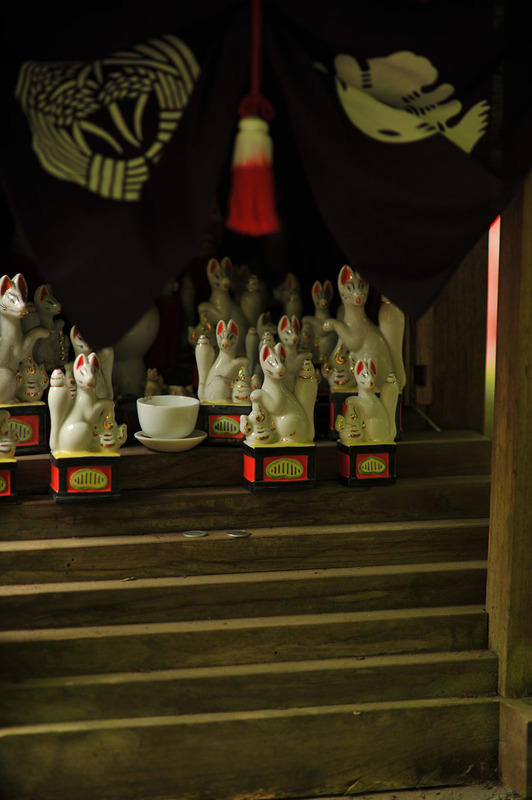 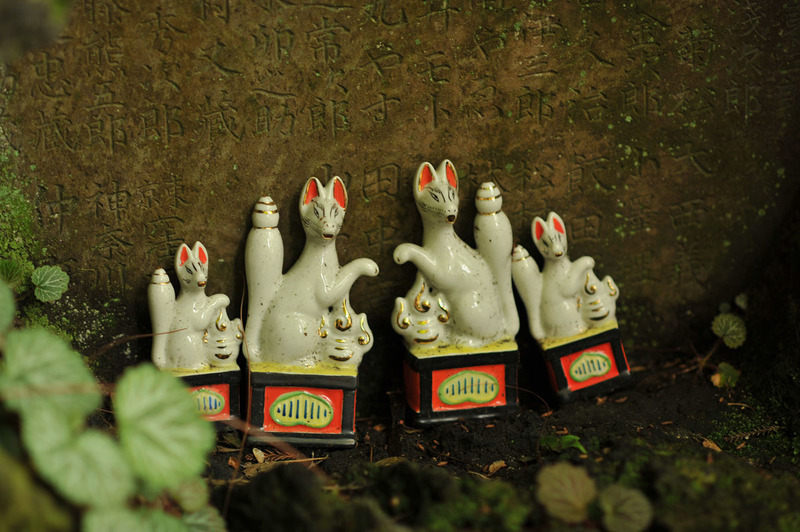 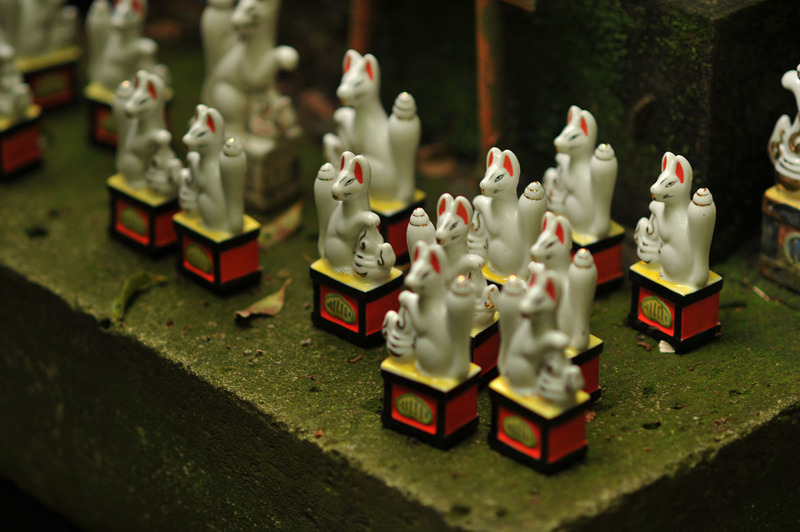 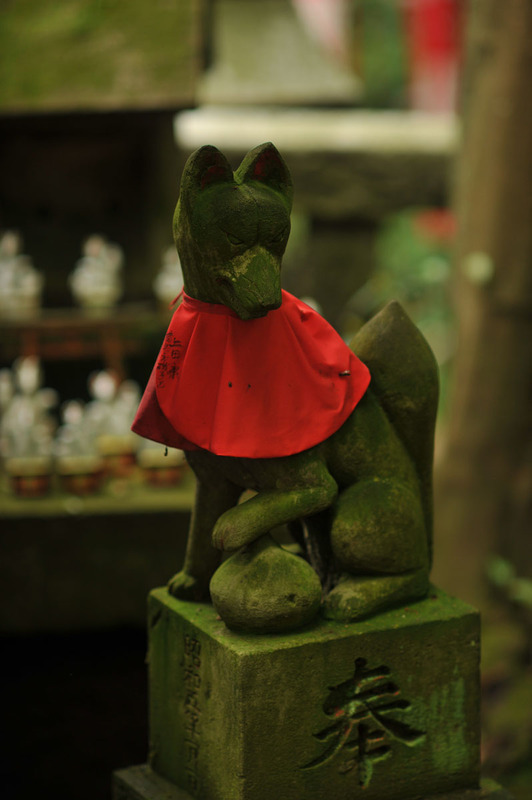 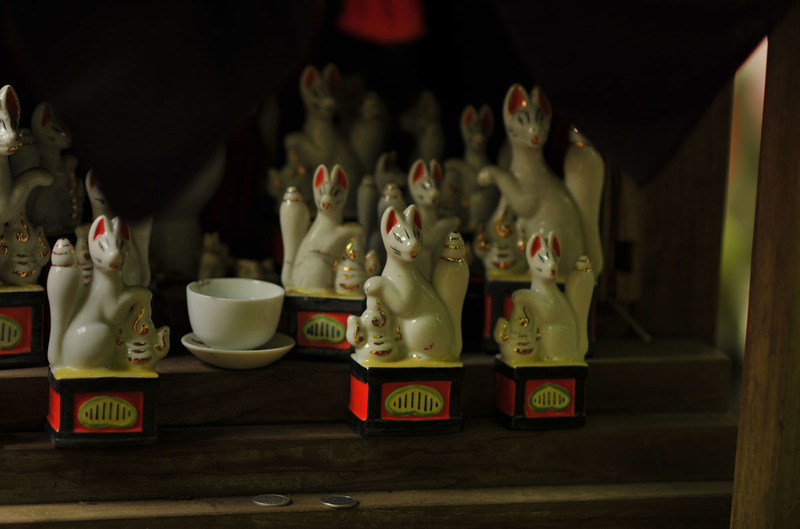 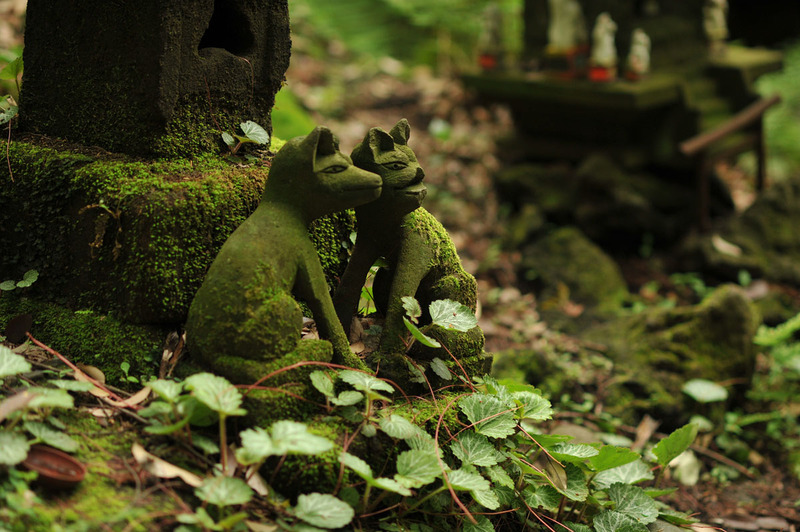 Foxes hold a special place in Japanese mythology and religion and if you’ve followed this blog for a while you will have seen a lot of fox related posts!